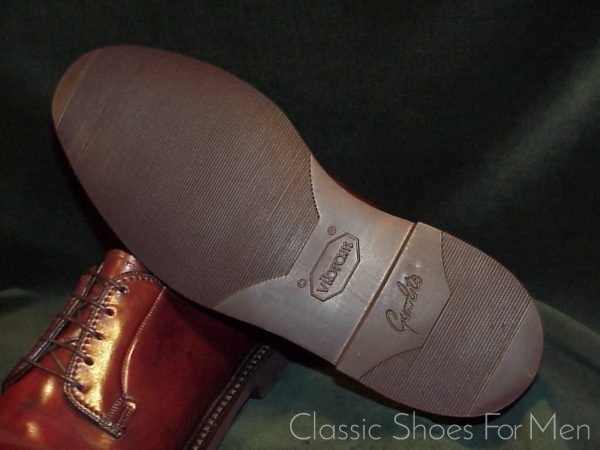 What makes this shoe more rare than any other of Florsheim’s already scarce original Shell Cordovans is the Special Order, factory, All-Weather Vibram Sole. 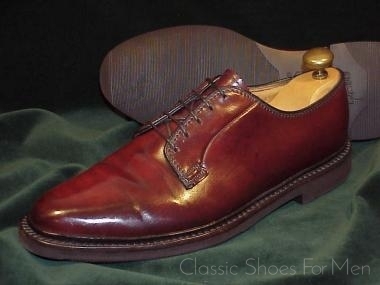 I think it is fair to say that this is among the most rare (and most desirable) American classics of the last century. Not only is this model far scarcer even than Florsheim’s own Cordovan Full Brogue model, but the best pieces of Horween Shell are reserved for what is, practically speaking, a “wholecut” shoe, that is to say, a shoe who’s upper is made from one piece of leather. 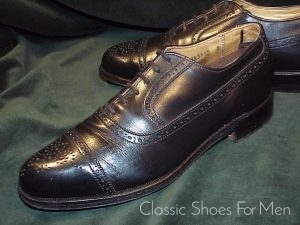 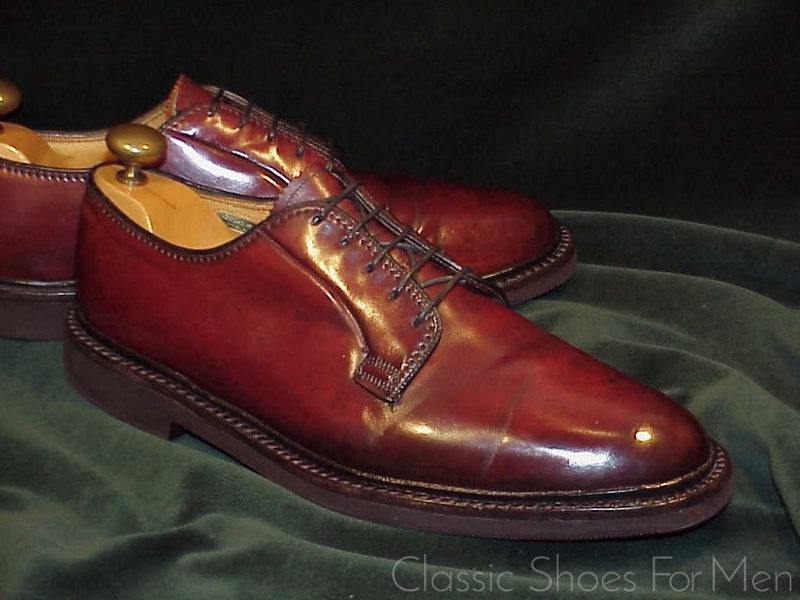 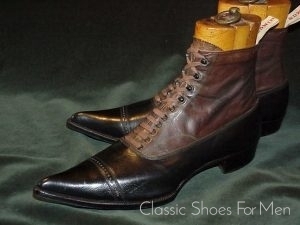 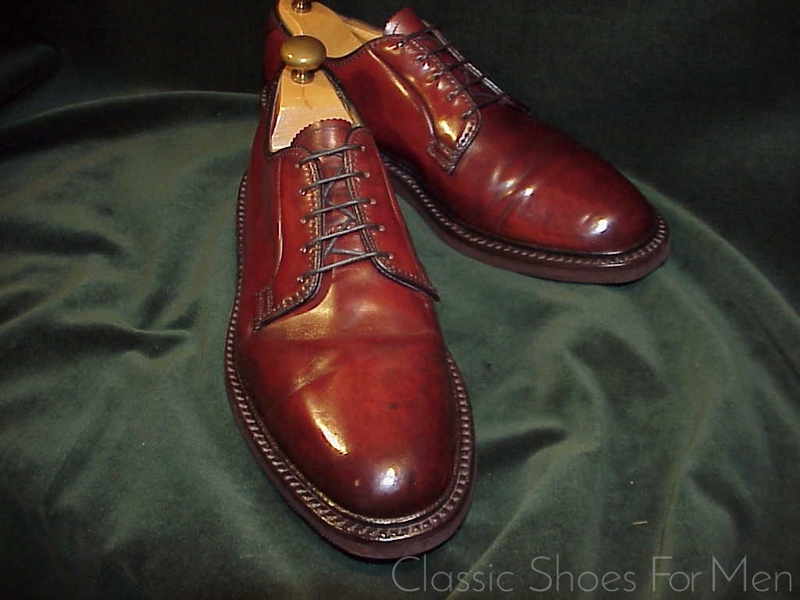 Unlike the Full Brogue made from several smaller pieces of leather, imperfections cannot be tolerated or worked around in the plain front shoe. 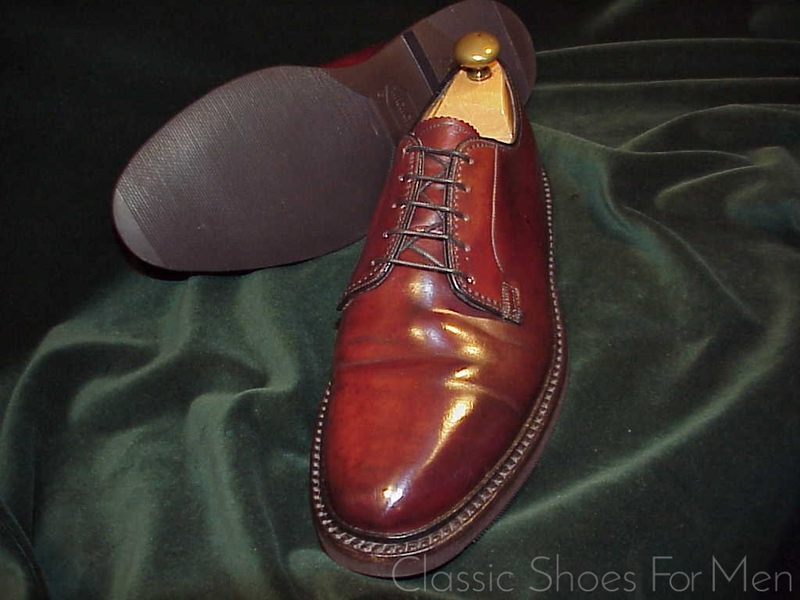 Indeed, the piece of leather chosen for this shoe presents a warmth and depth of colour superior to almost any I have seen, even among the other leathers produced by the world’s best cordovan tannery, Horween of Chicago; a flawless, even textured, close-grained hide of unsurpassed and unsurpassable quality. 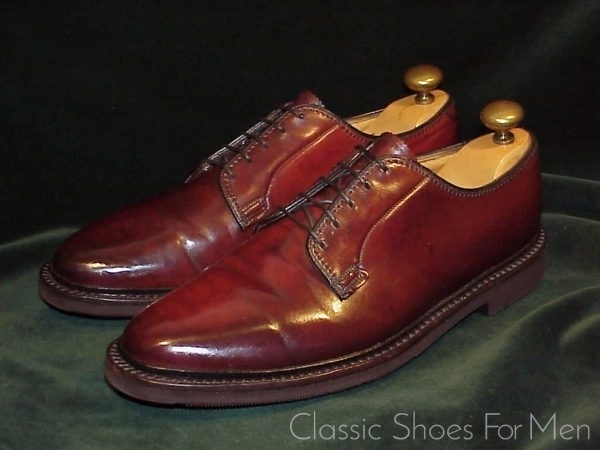 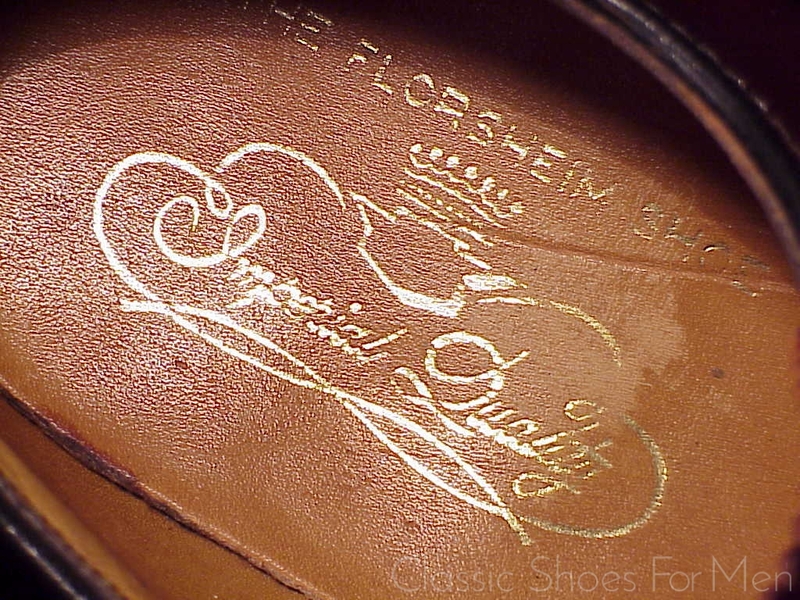 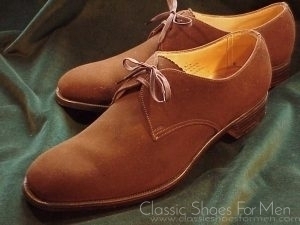 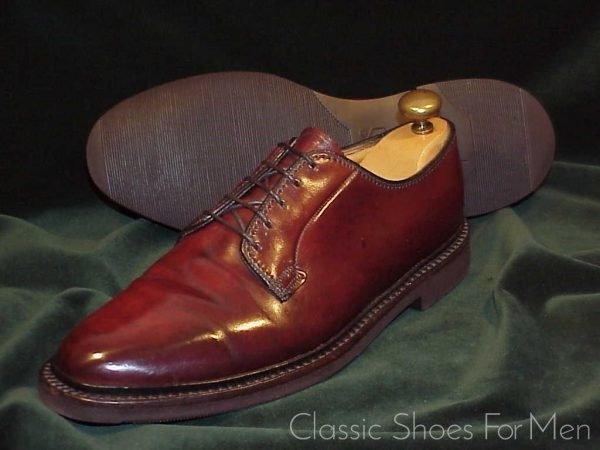 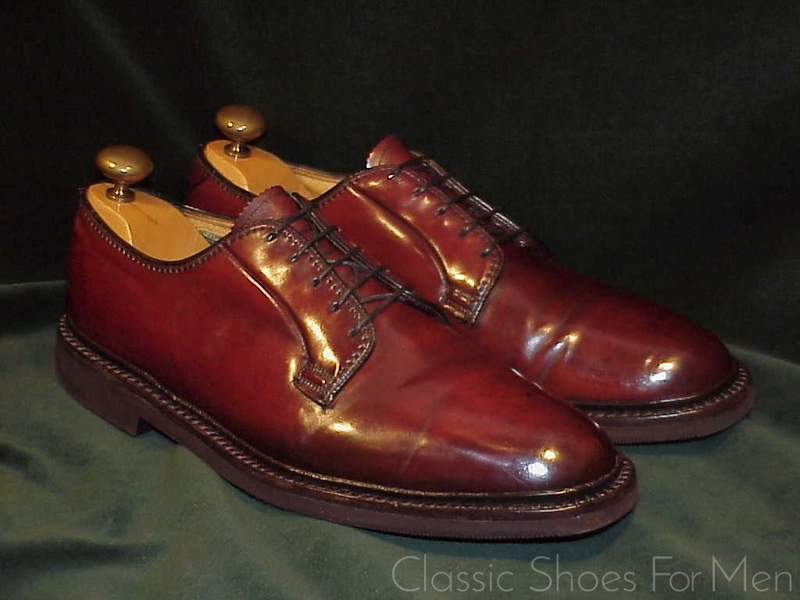 In brief, in this day and age, this shoe is a great rarity, one that will never come again in this size and condition (new and unused) by Florsheim, the greatest American shoemaker of the 20th century, the premiere purveyor of Shell Cordovan shoes in history, and the grandfather of all modern cordovan shoes, the most sought after shoe in the world. Florsheim’s build quality is legendary. 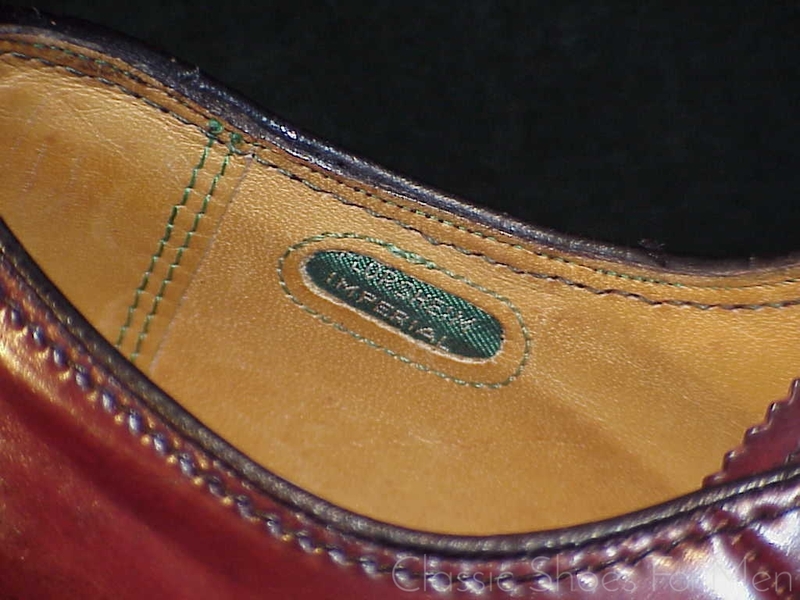 The 360 degree “split reverse welt” (the so-called “storm welt”) over a full Gumlite bottom should keep you dry (and wonderfully comfortable) in any weather. 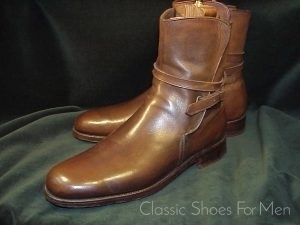 With its soft and inviting lining in buttery tan calfskin glove leather, this is a shoe irreproducible today at this or any price. Postage: Innerhalb Deutschlands Euro 6,90; France & the EU Euro 14,20; Japan and the Far East Euro 28,10…US $12, Priority Mail Insured. 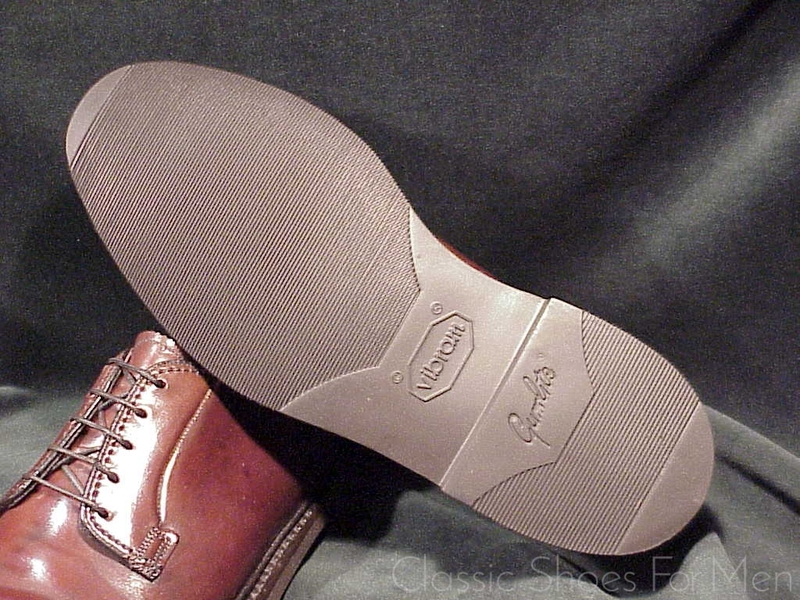 US 7D .......6E UK.....Continental 39-40D, for the medium width foot. If have been adding inserts or pads to fill oversized shoes to get the close and comfortable fit you need, here is a shoe to fit you correctly in both length and width. 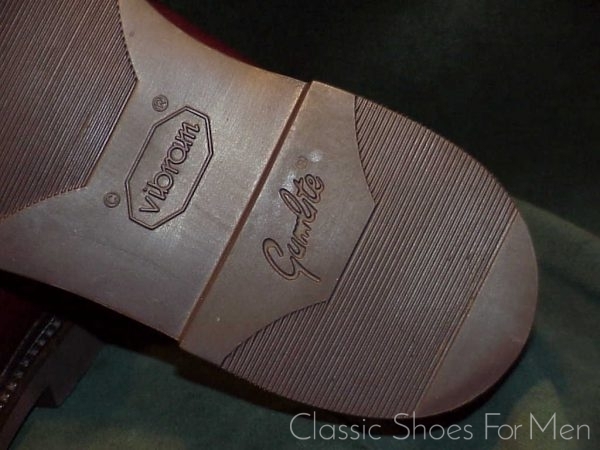 Neuwertig! Like new. 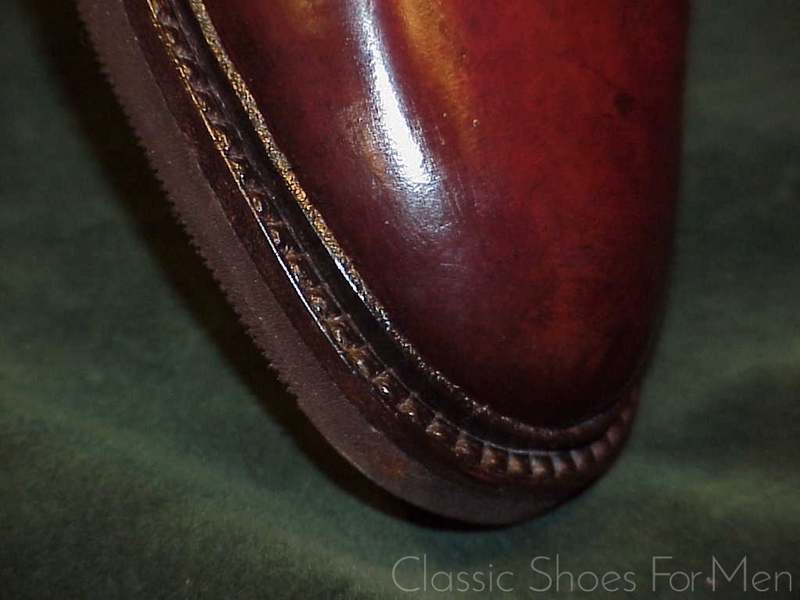 Trivial signs of wear; perhaps worn ONCE to try on only.